Produced by Yorkshire Television in 1971, All This and Christmas Too is a one-off festive comedy special that seems to have been almost completely forgotten today by programme schedulers and audiences alike. I cannot remember when this likeable seasonal farce was last repeated on terrestrial television. In fact, I can't recall it being repeated at all. This is a shame because, although All This and Christmas Too is not a classic by any means, it remains an enjoyable watch. 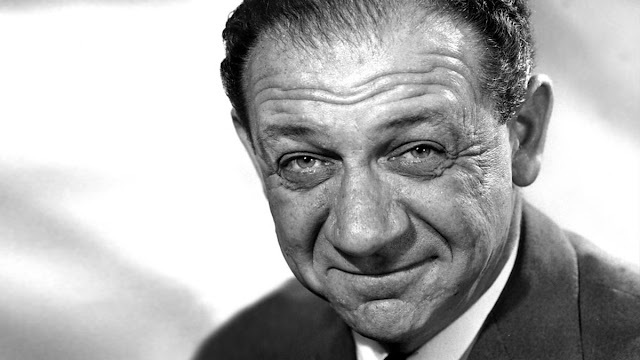 Plus, it features a starring role for Sid James that many people may not have seen before. 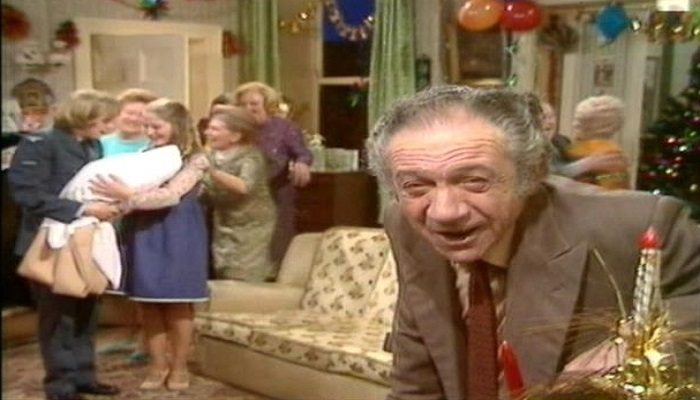 The year 1971 marked a mini-turning point in the long and distinguished career of a certain Mr Sidney James. His hugely successful association with the Carry On film series had imprinted on the minds of audiences an image of Sid as a lovable rogue, forever chasing the dolly birds, betting on the horses and generally living life to the full. The fact that Sid's carefully cultivated on-screen persona became so closely intertwined with his real life self is a testament to his great acting prowess. Although the real Sid James had a continual twinkle in his eyes and enjoyed the horses and a cheeky tipple, he was a true gentleman, softly spoken and always polite to the ladies. 1971 saw Sid's on-screen character shift more towards his real-life self. 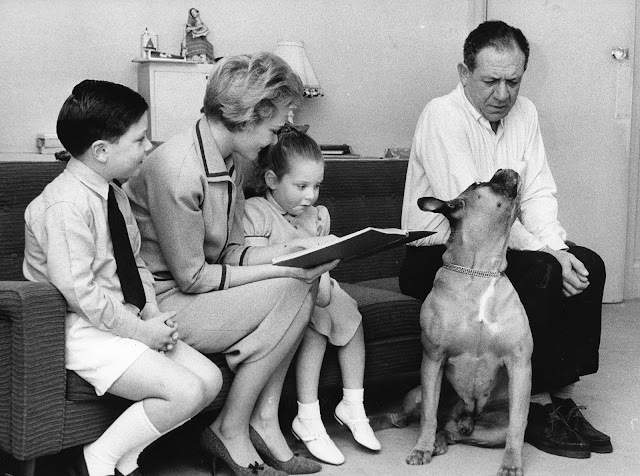 Fictional Sid became a family man. 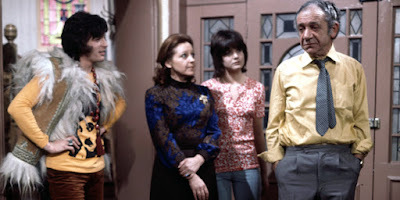 The much loved Bless This House was first broadcast in this year, a series that would go on to become the most successful sitcom of Sid's career. Married with two teenage children, the Sid of Bless This House was seemingly forever mystified by the generation gap, struggling to come to terms with the music and morals of modern-day youth. 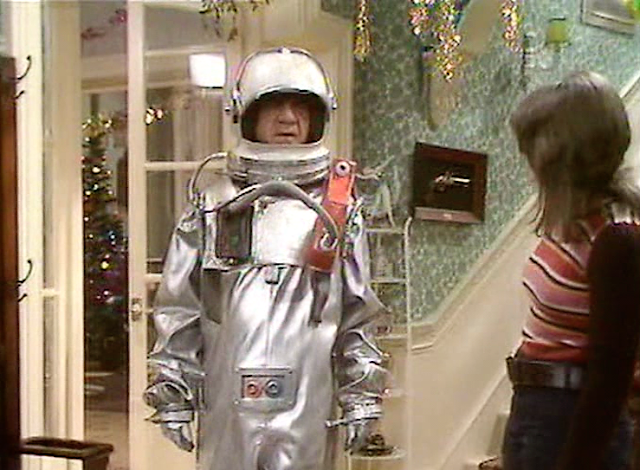 Broadcast on Christmas Eve 1971, All This and Christmas Too had a few things in common with its illustrious predecessor. All This and Christmas Too sees Sid once again a father to two teenagers, only this time both are girls (one with the familiar name of Sally). As with Bless This House, this Sid struggles to get a grip on modern youth culture and is a regular source of income for his children. Daughter Sally is due to have a baby and many of the characters flit in and out of the action as they visit mother and newborn child at the hospital. 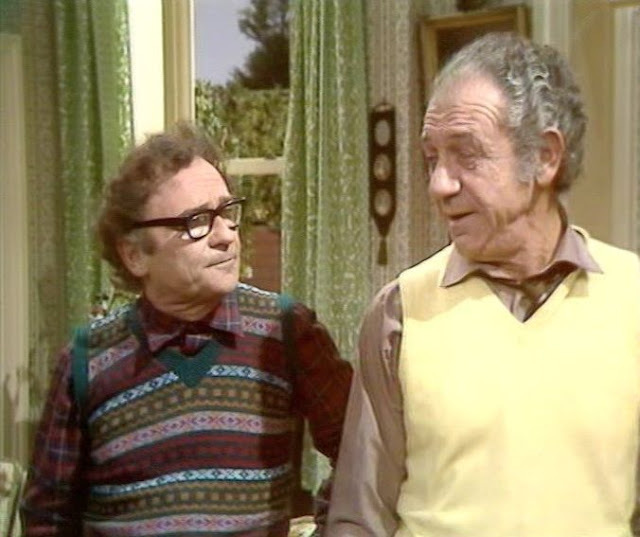 Happily this leaves Sid to take up the vast majority of screen time, much of it shared with his long-time Carry On co-star Kenneth Connor as neighbour and best friend Willie. The wonderful Kenneth Connor is a great foil for Sid and the two old friends share some lovely scenes together, particularly when they partake in one too many glasses of whisky. Sid drunkenly confesses his love for the mouse he has been trying to catch throughout the show and decides to give his little friend a Christmas treat by leaving a mountain of cheese and a few rashers of bacon for him to eat. Endearingly, he places a sprig of holly and a lighted candle in the top of the cheese. The comedy in All This and Christmas Too is fairly broad and borders on farce at times. This shouldn't come as too much of surprise with the screenplay penned by playwright Sam Cree, the man behind popular stage plays such as Wedding Fever and The Mating Season, Sid James starred in productions of both of these farces, the latter being the play in which he sadly suffered a fatal heart-attack while on stage at the Sunderland Empire in 1976. If you get the opportunity, All This and Christmas Too is worth an hour of your time, if only for the classic pairing of Sid and Kenneth Connor. Keep an eye out for an early outing for the classic Carry On Abroad 'I tried it once and didn't like it' line too!